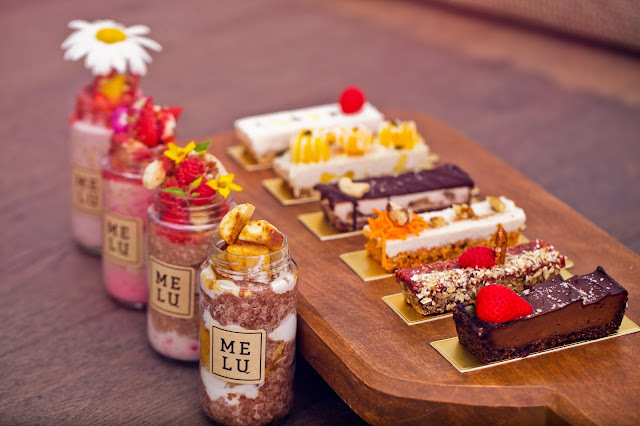 It's been a little over a week since MELU's grand opening on the 15th of July. So I thought, why shouldn't I blog about it ? 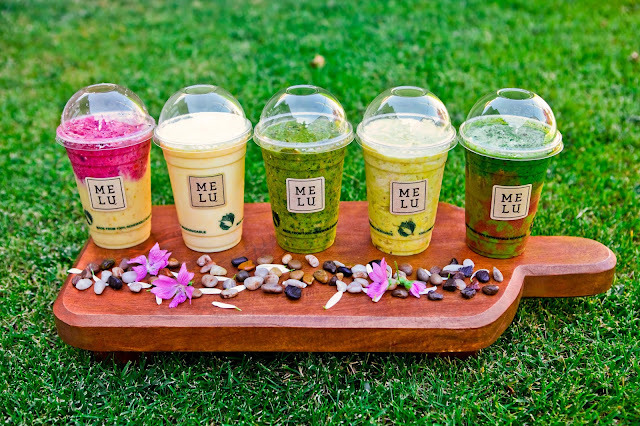 MELU's main offerings are their cold-pressed juices and health bars (Hint : MELU Juice and Health Bar). 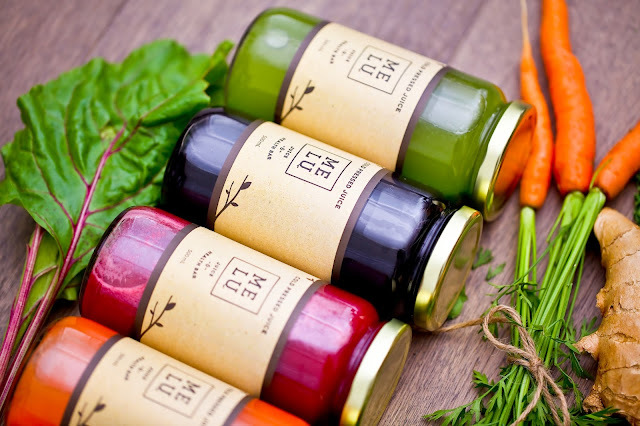 Cold pressed juices are booming everywhere in the States, UK, Australia, New Zealand, etc. It almost seems like they are taking over Starbucks and becoming the next go-to beverage option for people. Cold pressed juice stores have starting to pop up here and there in Vancouver in the recent year or two. It is wonderful that Vancouver has finally gotten some hydration from this super healthy industry ! 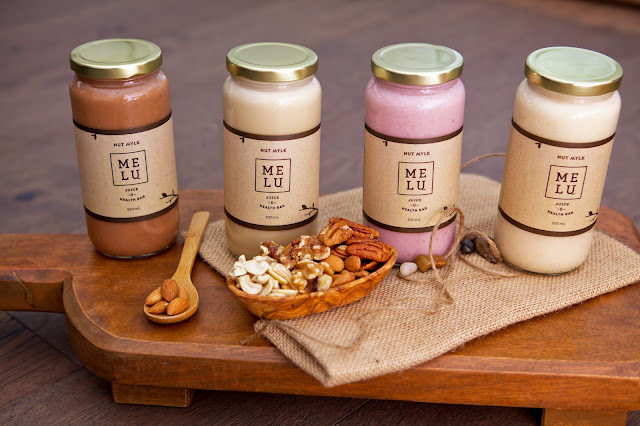 MELU has 8 types of cold-pressed juices, 4 different house-made nut mylks, a variety of detox waters, very creative salads, overnight oatmeals, chia puddings, and their very unique health bars ! It's super refreshing with a perfect combination of mint and grapefruit ! The purple color from beets overwhelms everything but the earthy taste of the beetroot can hardly show. For someone who doesn't like beets but wishes to have its health benefits ( lower blood pressure, increase stamina, fight inflammation, detoxification, anti-cancer, etc) can enjoy this with no reluctance ! My favorite green juice has been the Winter Wonderland. Its primary ingredient is winter melon ! It is great to reduce water retention while restoring water back to your body. This is an ideal juice to reduce bloating. My face, feet, and fingers are very swollen with water retention every morning. My shoes and rings become so tight that sometimes I won't be able to fit into them. This drink really helps to let these water go and helps my body get to its regular form before noon ! Surprisingly, our most popular drink has been the Black Magic (the black liquid in the middle). It's made of activated bamboo charcoal. Activated charcoal has been great for detoxification. It is actually used to treat many kinds of drug overdose and poisoning. Therefore, we highly recommend it as a hang over drink, or to have it after a big feast, or something more toxic such as a BBQ. 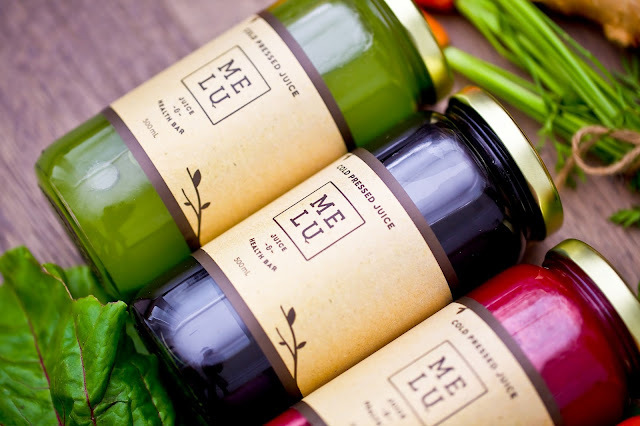 Besides individual juices, MELU also offers many cleanse programs for you to rid toxic or use it as a stepping stone into a cleaner diet / healthier life style. See here for their different Cleanse Programs. So after all of these, what is cold pressed anyway ? See MELU's FAQ page for more information. And if you are missing insoluble fiber (soluble fiber still presents in juices), there are the smoothies ! 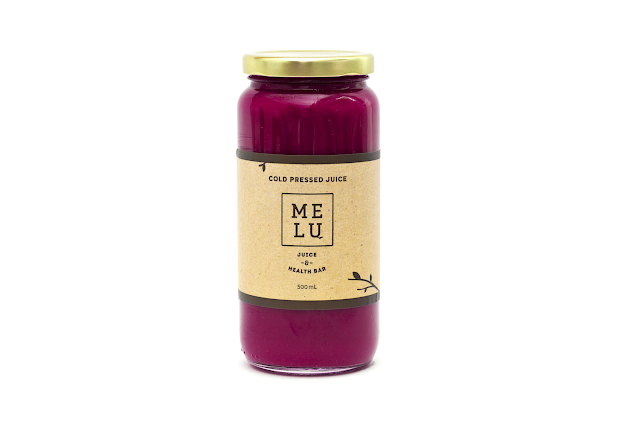 Just like the cold pressed juices, MELU's smoothies also use very unique ingredients to formulate into very unique combinations ! Just look at the layering. 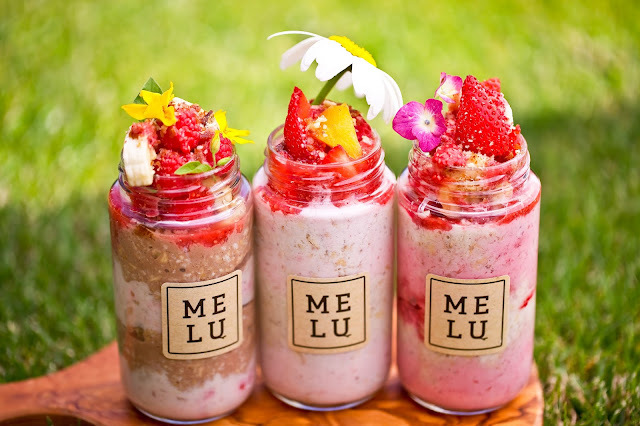 MELU is not just a juice bar. There are different solid foods that can fill your belly ! They are under cover because they are essentially zucchini noodles and cauliflower rice ! How interesting is that ! Not to mention they are delicious as well. There are other salads rolling out to give you more healthy and wholesome meal options ! Last but not least, MELU's RAW Health Bars. 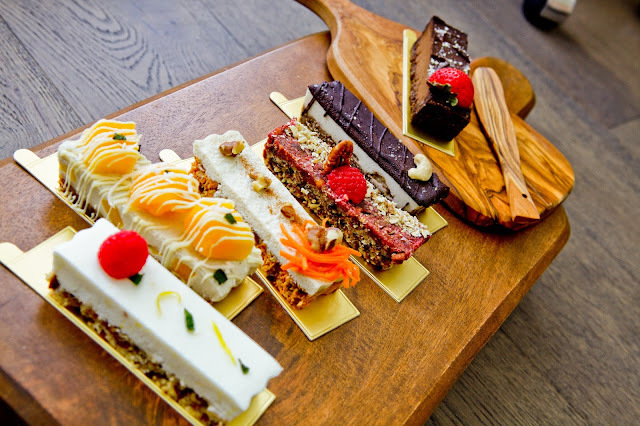 It is to make healthy food looks incredible and tastes delicious. Good afternoon, Glad to visit and read your article contents exciting and rewarding. Its really a healthy way to have it . You have shared such an healthy product with us. Thanks for sharing here with us.I want to share an informative thing about cellulite. Cellulite become a big problem today which makes our body appearance ugly but with cellulite exercises you can remove it from your body very easily. Thanks for this lovely blog. People who are really concerned about their health and figure may also include Noni juice in their diet. It is also a healthy juice and having juices in your regular diet is always healthy. women are generally prone to diseases so they may take Women's choice noni juice in their regular diet to maintain glowing skin, and reduce excessive weight. Awesome! I'm sure this has become a popular trend these days. I told my cousins about this, but they were not doing it properly, usually because they are not educated enough on the topic. In your post, you were given advice that you could use to make sure that you are juicing properly and thus, improving your health. And this is what I really wanted for us! Preventive health care must be planned and executed ahead of time, even when illness is absent. Searching for liquor detox focuses in your town on the web is the principal thing that you can do. You have to begin by going to your most loved web index and writing in the city where you live and liquor detox focuses. 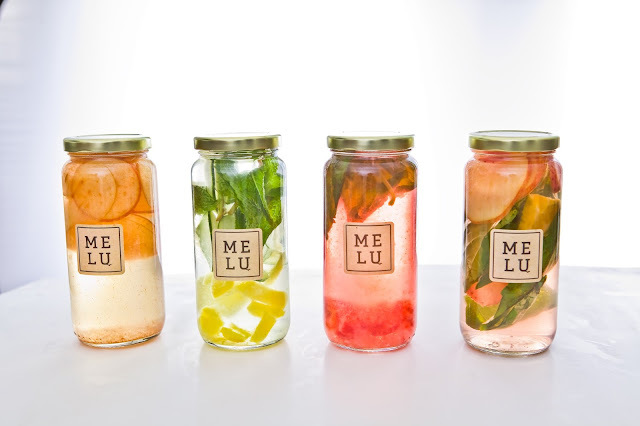 Grapefruit Melu juice is fantastic. One of my all time favorite drink, it's organic and healthy as well.